The Daybreak DBT Program and the Women’s Therapy Service of Montclair, LLC, offers comprehensive assessment and evidenced-based treatment for the full range of eating disorders and body image problems. We are experienced and certified in treating pediatric, adolescent, and adult eating disorders with boys and girls, and with men and women. We are trained to recognize the biological and brain-based underpinnings of eating disorders and utilize the Evidenced-Based treatments – Family-Based Therapy, or Maudsley Approach, CBT-E, and DBT for Eating Disorders. Parents are always included as an essential and an integral part of a child or teen’s recovery from an eating disorder. CBT-E for Eating Disorders is an evidenced-based treatment that is transdiagnostic, for all eating disorders It is a time-limited CBT treatment, 20-40 weeks, that aims to resolve problematic eating disorder thinking and behaviors, in an efficient and compassionate manner. The CBT-E practitioner requires of the client, daily Real-Time Monitoring of food and feelings to observe and track progress. Regular eating patterns are encouraged as an antidote for the dysregulation of eating behavior and cognition, in anorexia, bulimia, and binge-eating disorders. This method is used to resolve the eating disorder itself as well as the problems and distresses – body checking, body avoidance, obsessions with shape and size, and body dysphoria. For more information and the research on CBT-E, read the text books and research of Christopher Fairburn. The aim of the Women’s Therapy Service is to provide assessment and treatment for eating disorders and offer our firm belief that full recovery is possible. The Women’s Therapy Service strongly advises early detection and intervention of eating disorders, when prognosis is the most favorable. We offer Family Based Treatment for pediatric and adolescent eating disorders. Getting started means making an appointment for your initial consultation and individualized assessment of you or your child’s eating disorder and body image problems. Part of our evaluation is a “level of care assessment” to help determine that outpatient therapy is the right level of care for you. As a result of the evaluation, we will offer recommendations to maximize the efficiency of you or your child’s recovery. If you chose us as your Primary Therapist, we will coordinate any other outpatient care needed consisting of the a treatment team experts needed for your or your child’s specific course of recovery. This team may include physicians, adolescent medicine specialists, and nutritionists from the community, who are experienced and sensitive in treating eating disorders. Binge Eating Disorder is characterized by out-of-control eating. These behaviors lead to guilt feelings, self-loathing, depression, and feeling more out of control with food. The binge/diet cycle ultimately leads to more weight gain and lowered self-esteem. This cycle cannot be cured or healed with yet another diet. Body Image is not how others see you, it is how you see yourself… from the inside…. in your mind’s eye. Body image is a complex, not a simple phenomenon, with many conscious and unconscious layers. When you close your eyes and picture your body, what do you focus on first?…..
Are your first images positive or negative? DO FEELINGS AND THOUGHTS ABOUT YOUR BODY…. Trigger restricting, binging or purging, or overeating?…. Stimulate self-loathing or negative internal voices?…. Interfere with your relationships or career?…. Prompt you to exercise or run daily, even when you are sick and over-tired?.. Cause you to obsess with, or continue with, cosmetic surgery?….. If you have answered “yes” to at least half of these questions, individual and/or group therapy at The Women’s Therapy Service may be beneficial for you. 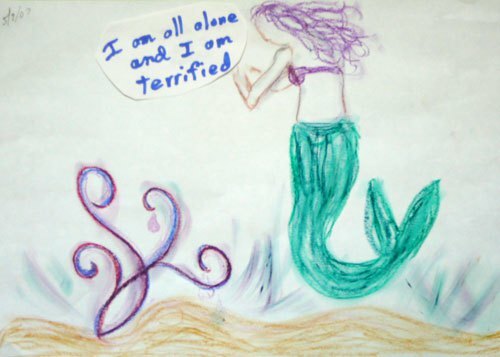 Our INNER IMAGE Group Program for Eating and Body Image Concerns is for adolescent girls and adult women. The key to successful adjustment to bariatric surgeryis individual and/or group counseling prior to the surgery and after surgery. Bariatric patients have been integrated into our INNER IMAGE group program for Overcoming Emotional Eating with much success. To schedule your initial consultation, please call 973-783-2292 or email us. The Women’s Therapy Service supports and counsels individuals who wish to maximize their mental and physical health, at any size. We live in a society that is hyper focused on size and appearances. Our philosophy and methods help chronic dieters reshape their thinking, shed unhealthy habits, become mindful and conscious about their eating behaviors, seek new enjoyment in physical activity, thus increase their sense of self-esteem and self-worth. Call us to make an appointment for your initial consultation, (973) 783-2292 or email us here.